Q&A: How do we prepare for spending time apart? Question: My wife and I are both active duty Marines, and we spend a lot off time away from each other. How do we start talking when we know one of us will be leaving soon? Answer: I think one of the ways you prepare yourself for the separation is to talk with each other about some of the things that you really enjoyed during the time you were together. And then to ask the other person: What are some things I can do while you’re away that would be helpful to you to have done while I’m gone? 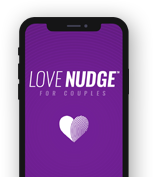 I think another factor is to say to them, “how can we stay in touch while we’re away?” And the good news is, for example, the love languages can be spoken long distance by emails or phone calls or letters. But talking about that before you go can set the stage for your actually speaking love long distance.